Ex Cathedra’s distinctive strengths and values come from the artistic vision and leadership of its founder and artistic director Jeffrey Skidmore, and its community of dedicated and gifted musicians. All are committed to excellence in every aspect of the company’s work – performance, research, training, education and community engagement. A registered charity (no.1004086), we tour regionally, nationally and internationally, reaching many thousands of people each year through our concerts and recordings, and engage tens of thousands of children and adults through our projects in schools, hospitals and communities. By supporting Ex Cathedra, your company could be part of this. We are interested in building a bespoke relationship with your company, whether that is through sponsorship, hospitality, a company donation, or the delivery of a service. 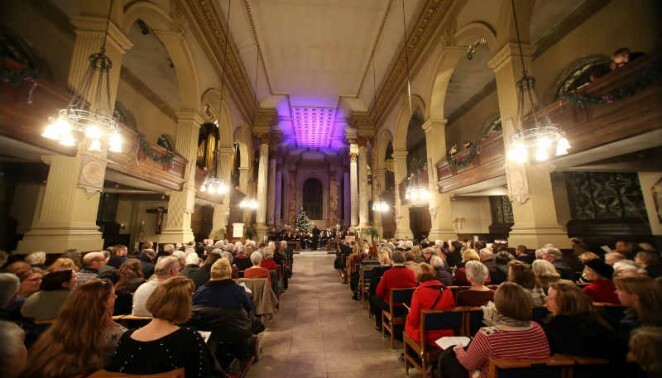 Benefits include marketing and branding opportunities, hospitality, and opportunities to meet the Artistic Director and members of Ex Cathedra. We are also skilled in delivering sessions at company conferences and addressing corporate social responsibility requirements. We would be delighted to discuss this, or your own ideas with you. Please contact Sarah Abbiss, Fundraising Manager. We would like to acknowledge our current corporate partners, and thank them for their support.